Our selfie along the Gulf of Oman in Muscat. 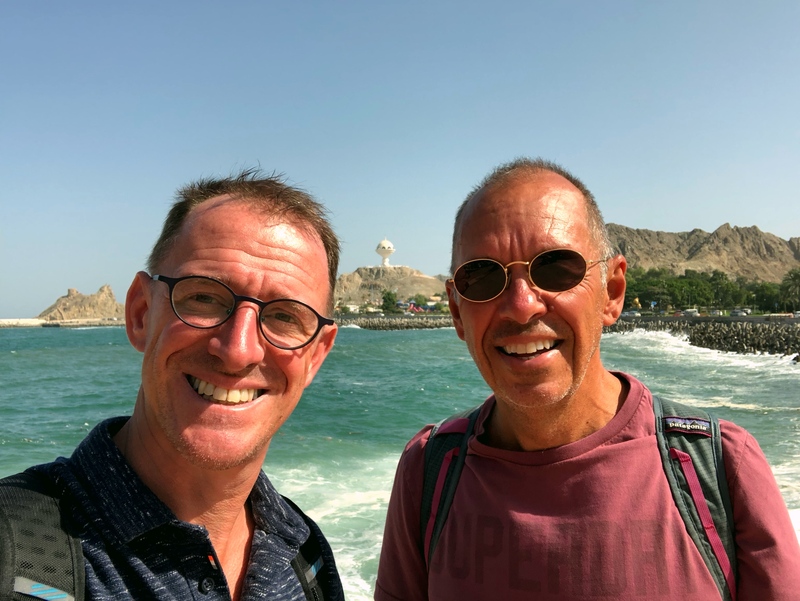 That little white thing you see behind us is a giant incense burner, evocative of the time when Oman was the center of the Arabian frankincense trade. Seems appropriate as we enter the Christmas season! 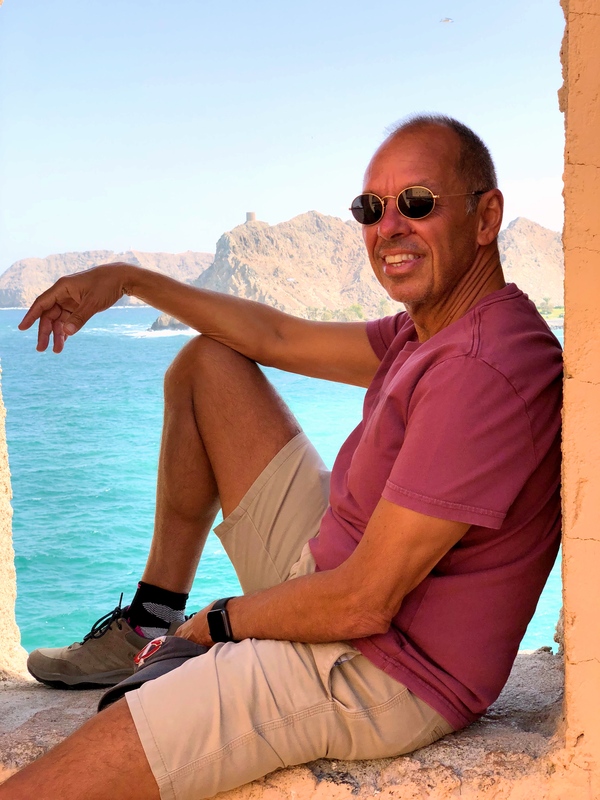 Our last stop on the Arabian Peninsula was in Oman, out on the southeastern coast and far enough away from Yemen to be safe. 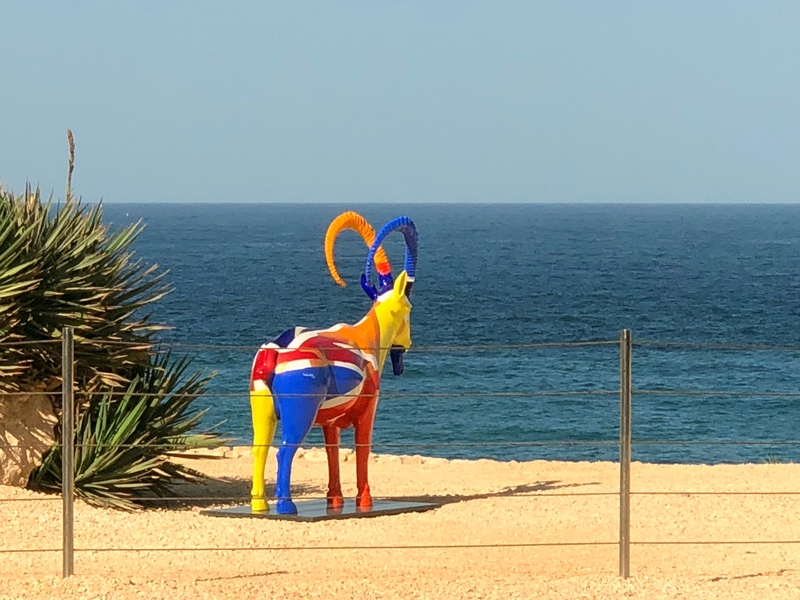 We were in a Shangri La resort a little outside of Muscat, close enough so that going in for a day trip was easy but still definitely outside the city. This was just five lazy days at a lovely and relaxing beach. Shangri La built essentially three separate properties out here and, not too surprisingly, we chose the child-free zone. 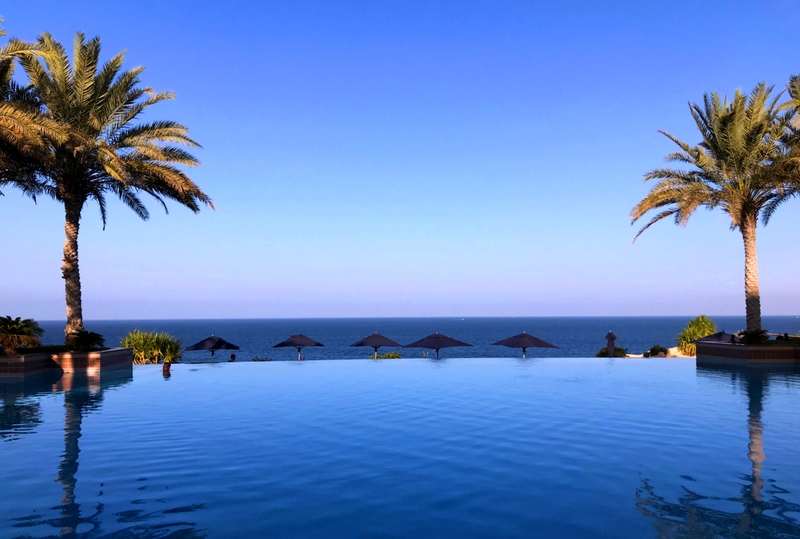 So we had our own quiet pools (that we didn’t use much) and our own quiet beach on the Gulf of Oman that we used a great deal. Even our own restaurants that were blissfully adult and pleasant. 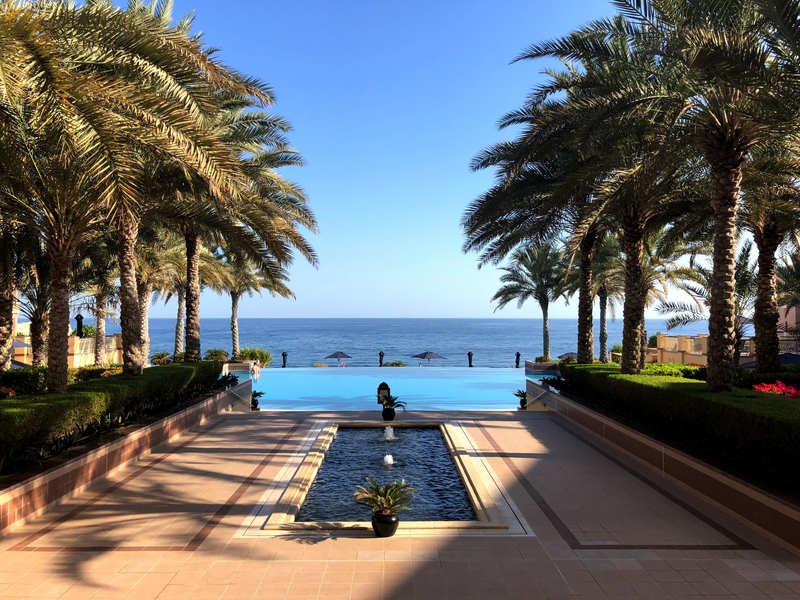 Entrance to the Shangri La’s pool, with the Gulf of Oman as a backdrop. Looks pretty relaxing, huh? About the only excitement at the resort was the day when the ocean was rough enough that they had the red “No Swimming” flag out. Otherwise there was time for a lot of reading (I’m very much in a Russia phase this days, now on a new biography of Lenin), runs on the treadmill, and long walks out into the desert. Nothing to complain about. We went into Muscat one day and it was pretty uneventful. A fish market, a souk, nice views of the gulf. 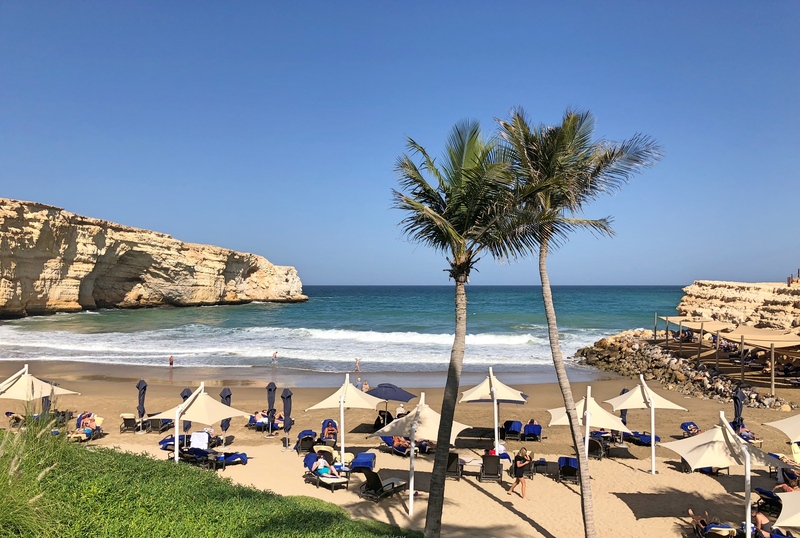 Muscat should be an interesting place; it’s been a major trading port for centuries and well into the 19th century Oman was a major regional power. 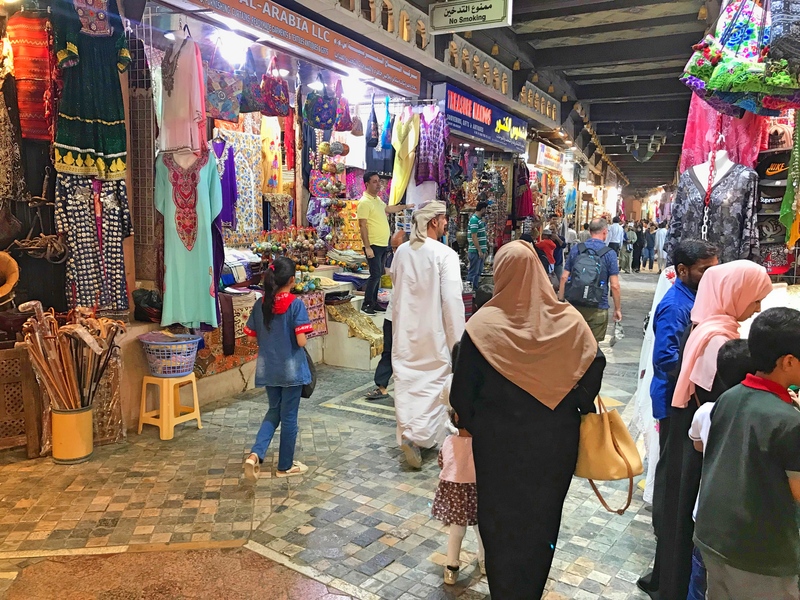 Today it is much less reliant on oil than other Gulf states and as a result has a much more normal – and successful – strategy for economic development. 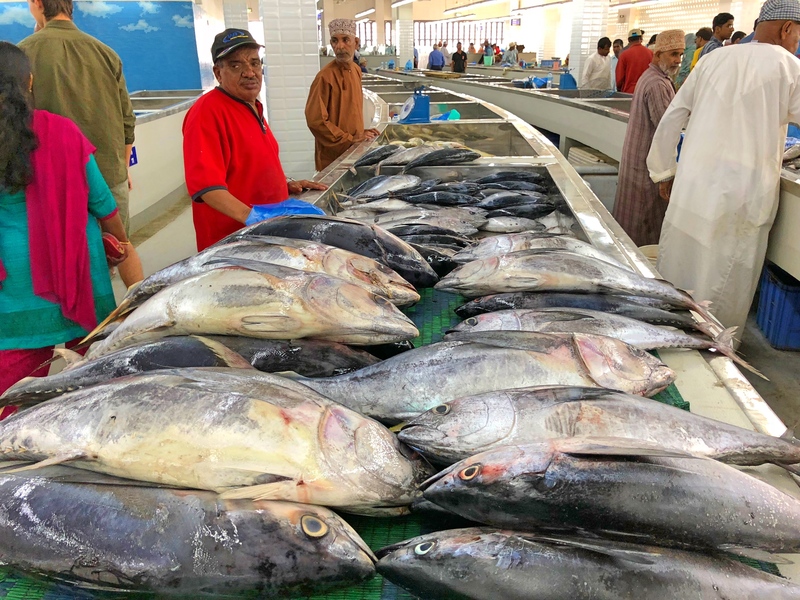 In fact, in 2010 the United Nations Development Program ranked Oman the most improved nation in the world in terms of economic development over the past 40 years. (Which, coincidentally or not, exactly coincides with the rule of Sultan Qaboos bin Said al Said, the world’s third-longest reigning monarch and the longest reigning leader in the Arab world. Did I mention that he became Sultan after overthrowing his father? I guess that still happens.) So it should be interesting but in honesty we didn’t experience it. Hanging out around the resort, though, swimming a little in the Gulf, wasn’t such a bad option and in fact was a pleasant way to end our little swing across Arabia. Now it’s off to India, a pretty good place to avoid the North American winters. On our walk through Muscat we climbed up to a small defensive fort. If I’d had the time I could have spent a nice hour or two reading with that view.